On behalf of Organizing Committee we invite all the participants from all part of the world to attend the “9th Global Experts Meeting on Advances in Neurology and Neuropsychiatry” scheduled during July 22-23, 2019 at Melbourne, Australia. It is a platform that provides an ideal combination of excellent science, an open atmosphere and allowing attendees and speakers to easily focus on academic exchange of ideas and authoritative views which covers the entire spectrum of research in neuropsychiatry. 9th Global Experts Meeting on Advances in Neurology and Neuropsychiatry is a unique forum to bring together worldwide distinguished academics in the field of Psychology and Psychiatry, Psychiatry researchers, public health professionals, scientists, academic scientists, industry researchers, scholars to exchange about state of the art research and technologies. The Conference will feature many exciting academic programs including multiple panels, workshops, affinity group lunches, paper presentations, and scientific sessions by reputed psychiatrists from all over the country. The goal of this conference is generate new ideas for treatment that will be beneficial across the spectrum of various neuropsychiatric disorders. 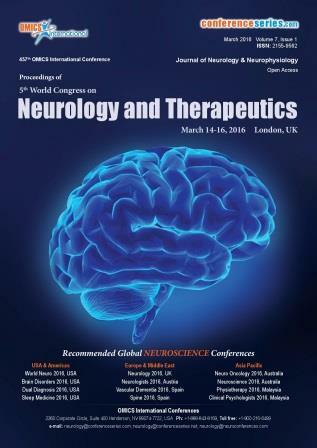 We endeavor to make 9th Global Experts Meeting on Advances in Neurology and Neuropsychiatry a success, with your support and high quality talks from Neurological as well as Psychological committees. We assure you that you will experience world class facilities and hospitality throughout the conference session. Neurology is the major branch in medical science that deals with the disorder and illnesses in the nervous system. The term neurology originates from a blend of two words - "neuron" which means nerve and "logia" signifying "the study of". The brain consists of nearly 100 billion neurons, which can generate the impulses on their own and can receive, transmit impulses from adjoining cells. Neurology consists the study of the peripheral nervous system, the autonomic nervous system and central nervous system. The functional and structural disorders which ranges from birth defects through to degenerative diseases likely Parkinson's disease and Alzheimer's disease. Pediatric neurology is also called as child neurology, which is a specific branch in medicine. It mainly deals in the field of identifying and managing the neurological conditions in the newborns, toddlers, kids and teenagers. The area of the pediatric neurology incorporates illnesses and syndromes in brain, peripheral nervous system, spinal cord, autonomic nervous system, blood vessels and muscles that affects people. Neuropsychiatry is combination of both Neurology and Psychiatry which focuses on disorders related to mental health, in which many cases were revealed to be originated from a recognizable malfunction in the brain. The aim of Neuropsychiatry is to comprehend the relation among the body, mind and its behavioral activities. The trained Neuropsychiatrist in the field of both neurological and psychiatric features of disease seats them in exceptional position to deliver this care. Neuropsychiatrist works along with additional Neuroscience clinicians, namely neurosurgeon and neurologist, to deliver complete care to the patients. Behavioral Neurology field emphases on pathological and clinical characteristics in neural developments associated with mental activity, subsuming cognitive functions, emotional states, and social behavior. Historically, the foremost importance of Behavioral Neurology has been to characterize the phenomenology and pathophysiology of intellectual disturbances in relation to brain dysfunction, clinical diagnosis, and treatment. Representative cognitive domains of interest include attention, memory, language, high-order perceptual processing, skilled motor activities, and "frontal" or "executive" cognitive functions. Behavioral Neurology incorporates three general types of clinical syndromes: 1) diffuse and multifocal brain disorders affecting cognition and behavior (e.g. delirium and dementia), 2) neurobehavioral syndromes associated with focal brain lesions (e.g. aphasia, amnesia, agnosia, apraxia), and 3) neuropsychiatric manifestations of neurological disorders (e.g. depression, mania, psychoses, anxiety, personality changes, or obsessive-compulsive disorders, which may accompany diseases such as epilepsy, cerebrovascular disease, traumatic brain injury, or multiple sclerosis). Neurogenetics is an important discipline which deals with the most exciting translational clinical and basic research in neurology and human genetics. Several of the essential processes underlying neurological disease remain indefinable and/or poorly understood. Genetics and proteomics (the study of proteins produced by genes) can enhance our understanding of predisposition to diseases, so we can build the next wave of therapies to treat neurological disease. Advances in genomics and emerging technologies has helped to better outline neurological syndromes, understand neurological disease progression, and refine clinical treatments. Neurological Surgery is an medical discipline and surgical specialty that offers care for adult and pediatric patients in the treatment of pain or pathological processes that may alter the function or activity of the central nervous system (e.g. brain, hypophysis, and spinal cord), the peripheral nervous system (e.g. cranial, spinal, and peripheral nerves), the autonomic nervous system, the supporting structures of these systems (e.g. meninges, skull & skull base, and vertebral column), and their vascular supply (e.g. intracranial, extracranial, and spinal vasculature). Treatment incorporates both non-operative management (e.g. prevention, diagnosis – including image interpretation – and treatments such as, but not limited to neurocritical intensive care and rehabilitation) and operative management with its associated image use and interpretation (e.g. endovascular surgery, functional and restorative surgery, stereotactic radiosurgery, and spinal fusion – including its instrumentation). The utmost common forms of neurological disorders are Infectious diseases of the nervous system, their percentage in the structure of general pathology of the nervous system is about 40%.In recent years abilities of the diagnostics of neuroinfections have significantly enhanced. There are acute (meningitis, encephalitis), subacute and chronic lingering (arachnoiditis, arahnoentsefality) infections of the central nervous system. The Neuroimmunology is the interdisciplinary field merging neurology, immunology, and aspects of neuroscience. It is a scientific and clinical domain. Scientifically, neuroimmunology tries to understand the bidirectional links among the nervous and immune systems, and their inferences to illnesses. Clinically, various “classical” neuroimmune diseases (e.g., multiple sclerosis – MS) and recently more diseases are being documented for their influence by both the nervous and immune systems, including cancer and coronary heart disease. The biological underpinnings of neuroimmunology include the descending pathways from the brain to the immune system, manifested by innervation of lymph nodes, effects of stress hormones on immunity, and the presence of neurotransmitter receptors on immune cells. A biomarker is a characteristic, that is, objectively measured and evaluated as an indicator of normal biological processes, pathogenic processes or pharmacologic responses to a therapeutic intervention. There are several features that are desirable for biomarkers to be useful in the Neurocritical Care Unit (NICU). They must be brain specific; they must increase or decrease significantly during the relevant neurological insult; they must be available within a few hours. All these features will help a treating physician to make better diagnosis and direct care. Clinical neurology is the diagnosis and treatment of patients who have neurological conditions. It is a non-surgical, patient-oriented specialty practice in medicine. There are certainly neurologists who might participate in research or teaching and don’t have much contact with patients. In these cases, these doctors would not be practicing clinical neurology, since clinical tends to be defined as having to do with patient care. It is important to note that Clinical neurology is not the same as neurosurgery. Though both are concerned with the nervous system, only the neurosurgeon performs surgery. Neuro Oncology defines the study of brain and spinal cord neoplasms, many of which are very dangerous and life-threatening. For example: glioma, glioblastoma multiforme, ependymoma, pontine glioma, and brain stem tumors etc. Most Commonly used treatments in neuro-oncology are Radiotherapy, Chemotherapy, Corticosteroids and Neurosurgical Interventions. Neuroimaging is a technique that produce pictures of the brain without requiring surgery, incision of the skin, or any direct contact with the inside of the body. The neuroimaging technique allow noninvasive visualization of the structure and functionality of the brain. Neuroimaging has become an influential tool for both research and medical diagnosis. While still young, the neuroimaging field has speedily progressed over the years due to innovations in technology and computational approaches. The main two in-vivo technologies are structural imaging and functional imaging. Neuropharmacology is the study of how drugs affect cellular function in the nervous system. There are two key divisions of neuropharmacology: behavioral and molecular. Behavioral neuropharmacology emphases on the study of how drugs affect human behavior, as well as the study of how drug dependence and addiction affect the human brain. 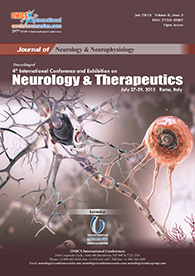 Molecular neuropharmacology includes the study of neurons and their neurochemical interactions, with the overall objective of developing drugs that have beneficial effects on neurological function. Both fields are closely related, since both are concerned with the interactions of neurotransmitters, neuropeptides, neurohormones, neuromodulators, enzymes, second messengers, co-transporters, ion channels, and receptor proteins in the central and peripheral nervous systems. Studying these interactions, researchers are developing drugs to treat many different neurological disorders, including pain, neurodegenerative diseases such as Parkinson's disease and Alzheimer's disease, psychological disorders, addiction, and many others. Neurologic exam: Your doctor checks your vision, hearing, alertness, muscle strength, coordination, and reflexes. Your doctor also examines your eyes to look for swelling caused by a tumor pressing on the nerve that connects the eye and the brain. MRI: A large machine with a strong magnet linked to a computer is used to make detailed pictures of areas inside your head. Sometimes a special dye (contrast material) is injected into a blood vessel in your arm or hand to help show differences in the tissues of the brain. The pictures can show abnormal areas, such as a tumor. Angiogram: Dye injected into the bloodstream makes blood vessels in the brain show up on an x-ray. If a tumor is present, the x-ray may show the tumor or blood vessels that are feeding into the tumor. Neuro rehabilitation benefits people having neurological disorders to enhance their quality of life. Progressive neurological disorders such as dementias, Parkinson's and tumors and isolated neurological events such as traumatic brain injuries and strokes can profit extremely from neuro rehabilitation. Once the acute stage of treatment for a brain injury is accomplished, neuro rehabilitation steps in to help the patient recover. It enhances their functional and cognitive abilities and to help them realize their individual goals. The initial step to neuro rehabilitation is a full assessment involving some tests. Some of these will test complete brain function, some will examine specific brain functions. The neuropsychologist uses the outcomes from these tests, teamed with an understanding of your complications to develop a comprehensive picture of what might be going on for you and what treatment could help. Neurochemistry is the study of the identities, structures and functions of compounds (neurochemicals) that are produced by and that regulate the nervous system. Neurochemicals includes oxytocin, serotonin, dopamine and other neurotransmitters and neurotransmitter-regulating substances. There are two comprehensive groupings of chemistry in nerve systems that are significant. The first is the chemistry that generates electrical signals which propagate along nerve cells. The crucial chemicals involved in these signals are sodium and potassium ions. Neuro-ICU, it consists of multidisciplinary team of specially trained physicians, therapists, nurses and other professionals delivers collaborative, coordinated, and attentive care in a unique environment. At the bedside, nurse’s monitor’s the patients’ vital functions, speech, movement, and cranial nerve responses every hour, or more frequently if necessary. Physical and occupational therapists mobilize patients as early as possible, working with everyone to help his or her ultimate rehabilitation needs. Swallowing functions are evaluated by highly trained speech-language pathologists, and experienced dieticians provide guidance on nutrition. Specially trained critical care pharmacists provide invaluable support to physicians and nurses in the Neuro-ICU. Treatment decisions are made by a multidisciplinary team comprised of neurosurgeons, interventional neuroradiologists, vascular surgeons and physicians in related subspecialties. In the Neuro-ICU, this advanced level of experienced, responsive, and personalized care helps our patients recuperate, regain their strength, and move forward to the next phase of recovery. Neuropsychiatry 2018 welcomes attendees, presenters, and exhibitors from all over the world to Melbourne, Australia. We are delighted to invite you all to attend and register for the “9th Global Experts Meeting on Advances in Neurology and Neuropsychiatry (Neuropsychiatry 2019) which is going to be held during July 22-23, 2019 at Melbourne, Australia. The organizing committee is gearing up for an exciting and informative conference program including plenary lectures, symposia, workshops on a variety of topics, poster presentations and various programs for participants from all over the world. We invite you to join us at the Neuropsychiatry 2019, where you will be sure to have a meaningful experience with scholars from around the world. 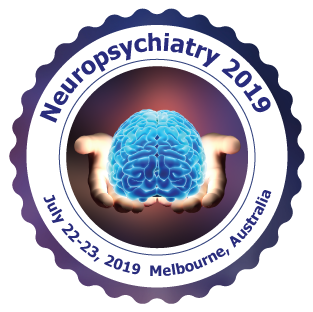 All the members of Neuropsychiatry 2019 organizing committee look forward to meet you at Melbourne, Australia. Neuropsychiatry 2019 addresses current & future trends at the interface of Neurology and Psychology. It emphasizes on the use various treatment methods for Neurological disorders. It intends to provide a platform for enthusiastic dialogs and trade between these controls. Neuropsychiatry is combination of both Neurology and Psychiatry which focuses on disorders related to mental health, in which many cases were revealed to be originated from a recognizable malfunction in the brain. The aim of Neuropsychiatry is to comprehend the relation among the body, mind and its behavioral activities. The trained Neuropsychiatrist in the field of both neurological and psychiatric features of disease seats them in exceptional position to deliver this care. Neuropsychiatrist works along with additional Neuroscience clinicians, namely neurosurgeon and neurologist, to deliver complete care to the patients. 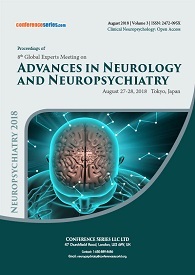 Conferenceseries LLC ltd takes a great honor in announcing the commencement of 8th Global Experts Meeting on Advances in Neurology and Neuropsychiatry during August 27-28, 2018 at Tokyo, Japan. Neuropsychiatry 2018 has received a benevolent response from all over the world. This has been conducted with the aim and the categorical intent of promoting the developments of new perceptions and ideas for exploring the high level of knowledge reached by scientific community on Neuroscience. The extremely illustrious conference hosted by Conferenceseries LLC ltd was marked with the attendance of young and brilliant researchers, clinicians, business delegates and talented student communities. The conference was organized around the theme Exploring the challenges faced in mental health and disorders. The event implanted a firm relation of upcoming strategies in the field of Neurology with the scientific community. The conceptual and applicable knowledge shared, will also foster organizational collaborations to nurture scientific accelerations. 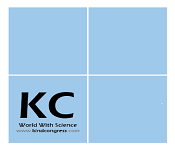 This annual conference brought together eminent scientists, Neurologists, Neuroscience researchers, health care professionals, University professors, Neuroscience professionals in which many issues in Neuroscience research were discussed in depth to provide up-to-date information to the world. On the other hand, the meeting provided an opportunity for an open and animated sharing of ideas and experiences. We also thank Amani Osman Hassan, Cardiff University, UK & Pawan Rajpal, 10 Harley Street London, UK for chairing the sessions. 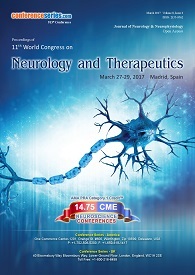 Conferenceseries LLC ltd offers its heartfelt appreciation to all the Organizing Committee Members, Chairs and Co-Chairs, Speakers, Students, Media Partners and Editorial Board Members of Journal of Neurology and Neuroscience, Journal of Neuropsychopharmacology & Mental Health and Journal of Psychiatry who supported the conference in every aspect for the awe-inspiring exhibition at the venue.